Everyone of our staff members are Fear Free Certified! From our Receptionist to our Techs to our Doctors. So our entire hospital will work together to ensure your pet has the best visit possible. We believe in AND practice the philosophy as Dr. Sophia Yin’s Low Stress Handling, and Dr. Marty Becker Fear Free Veterinary Practices. Imagine this. You’re grabbed out of your home, stuffed into a box, thrown in a car, and driven to a location where you’re left in a strange room. It’s a room with weird smells, scary sounds that sporadically pierce through the walls, and eerie figures wandering about. You don’t know why the human you once trusted brought you, but you’re not sure you should trust her to help you now. We can look like monsters to them. Veterinary visits with a pet that have been stressed previously may take a little more time or require more than one visit to accomplish what we want. But we will do everything we can to help your pet feel comfortable. 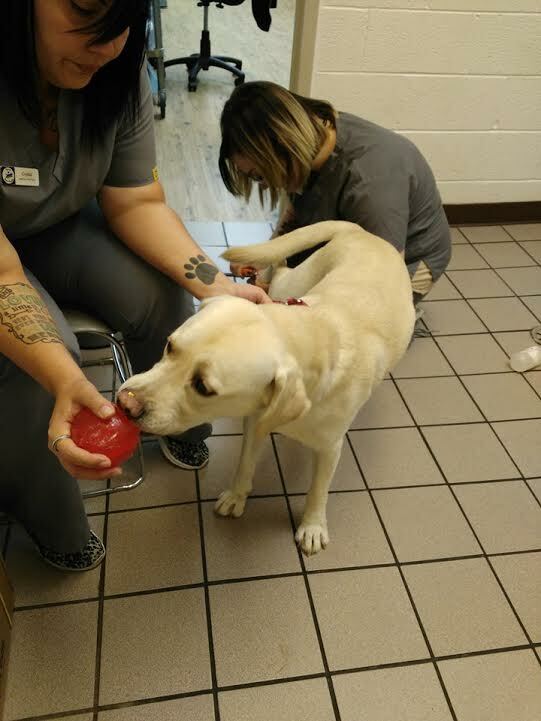 Counter conditioning is a safe and fun method we use so the pet is not stressed while here which has been used successfully to treat some pets that we were not able to handle at the time of the first visit. Our overall focus is keeping the patient both comfortable and feeling safe. Its' about helping pets to be healthier and happier while forming a great relationship with both the patients and clients! 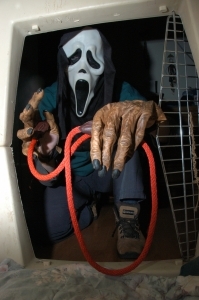 Most pets are afraid of getting their nails trimmed. One bad experience can sometimes make it impossible to trim them. At our practice we focus on making them comfortable with the process without stress. Handling scared cats can be tricky, which is why it's essential for cat owners to learn how to keep cats felling comfortable and safe. Providing good health care, especially preventative health care, can allow your cats to have longer, more comfortable lives. However, this cannot happen unless they see the veterinarian for needed care. Many cats dislike going to the veterinarian, and that starts with the difficulty of getting the cat into the carrier. 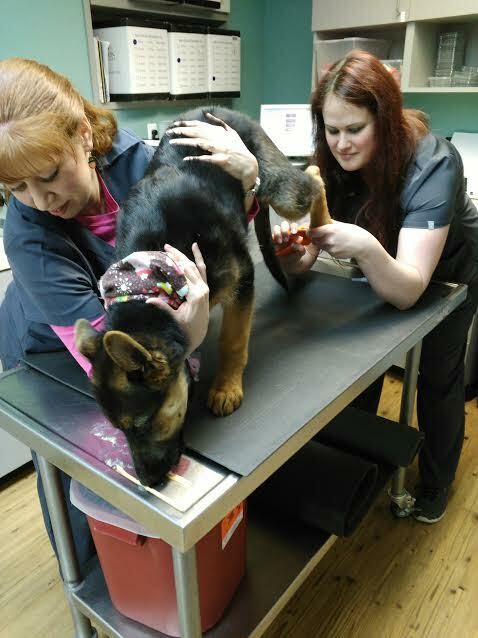 If we can make this step easier, the entire veterinary visit is usually less stressful. 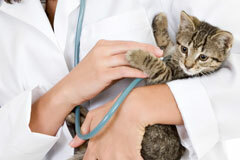 CLICK HERE for tips to make your cat more comfortable for the veterinary visit. We are a Proud member of the American Association of Feline Practitioners and have been certified as a Cat Friendly Practice. We do our very best to make sure your feline friend is comfortable and happy while here with us. 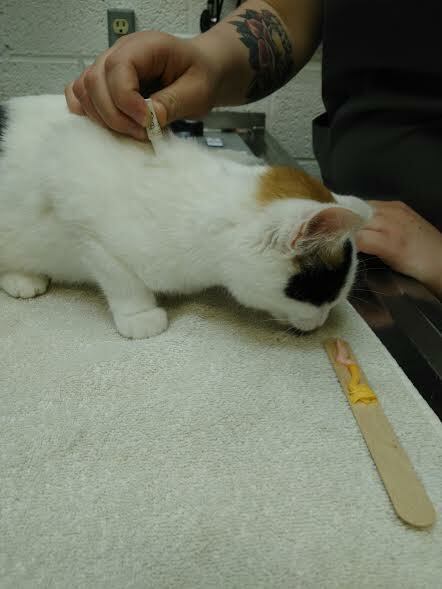 We utilize a variety of gentle techniques and calming aids to help your cat feel safe at our hospital whether its a short check up or a hospital stay your cat will feel right at home.